Last weekend, I saw Frozen. I know, I know. I'm a tad late. The sort of theme throughout the movie is the thought that love will thaw a frozen heart, and I love that. Because, love does thaw. It has the power to do so much, and I am reminded of the strength and power of Jesus' love. He loves us in our sin, our brokenness, our weakness, our pain. 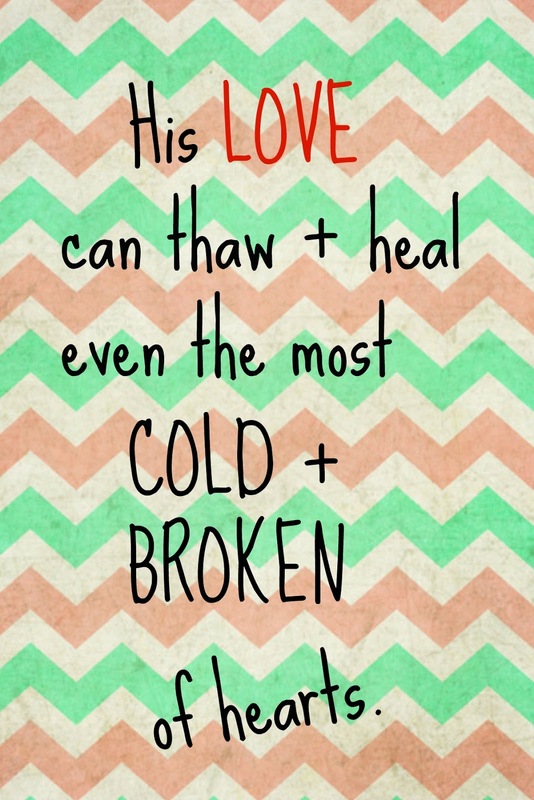 The most broken of hearts can be healed with Him. Trust in Him because He knows what is best. He knows the desires and sorrows of your heart. He knows your deepest fears. He knows everything, and He will heal your heart.